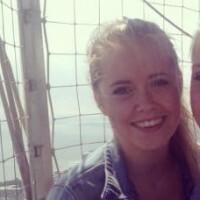 My name is Louise Brazill and I am currently a student at Skagerak International school in Norway. This is my first year as a part of the Skagerak CAS team and we will be participating in the Sandefjordsløpet to raise money for Bátor Tábor. Bátor Tábor is a camp that offers therapeutic recreation programs to children with chronic illnesses. The program operates on a budget which is raised exclusively through voluntary donations, so this is a great opportunity for us to reach out and help others. Every donation is greatly appreciated and will be a part of making a significant difference in the lives of these children.